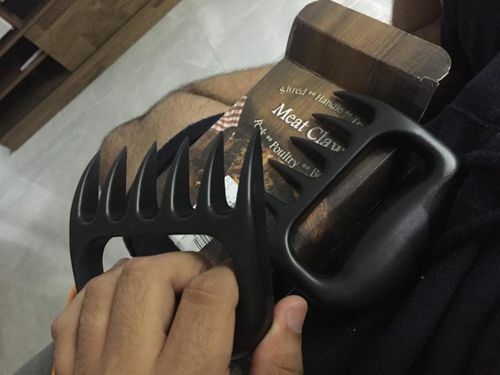 I was having difficult time shredding the meat whenever we have bbq parties, this is a really great add to my kitchen tools. I will recommend my friends to have this tool for their own kitchen. Super satisfied. The box cam damaged, its good that the item is metal if its not it could've been broken. All in all the product is in goodshape, i'm just concern about the box that came in. Just make sure that your delivery is really good.